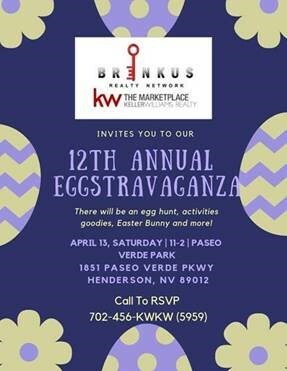 The weather is changing and it is officially Spring which means our annual Keller Williams Realty The Marketplace Eggstravaganza is right around the corner! With free admission, a guest appearance from the Easter Bunny, an egg hunt and much more, this is not an event you want to miss. Please consider yourself officially invited and make sure to call today and RSVP (702-456-5959). 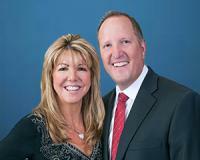 "My experience from listing to closing was awesome! My home sold in 4 days! i have already recommended them to 4 neighbors. Thank you again to Rick and his team! "